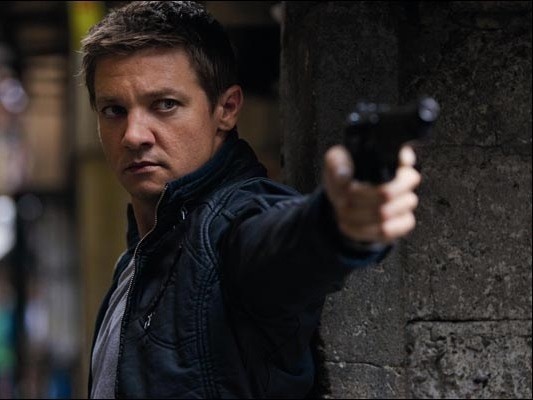 Before you see the movie, check out our review for “The Bourne Legacy” which is this week’s selection of Movie Review for the Week. The good parts: Renner’s character is an interesting contrast to Damon’s. For a secret spy, he has strong people skills and these, along with his compassion for other people, are on display throughout the movie. For Weisz, her character is slightly underdeveloped but an interesting and spirited person nevertheless. I appreciated how different these two characters were from the original characters; it would have been so easy simply to write a second Bourne into the role. And, as many reviewers have pointed out, Renner and Weisz throw themselves into their roles and flesh the characters out even further. Moreover, the film raises (and returns to) questions about the ethics of war, of medicine and government interference in an interesting way. Unlike Bourne, Cross remembers his history with the Agency, which makes his character potentially more conflicted than Bourne. Bourne changes quickly around the time of his accident; Cross, more slowly as he gets deeper into his spy work. The Bad Parts: But, the film fails to live up to its promise thanks to poor pacing. It takes perhaps 30-45 minutes to fully introduce the characters and initiate the conflict between Cross and the agency, then sends the characters running around the world with only a brief explanation of what is at stake or why hunting down Cross is so important. Interrupting these little bursts of action are flashbacks to Cross’s earlier decisions and his moral dilemmas, but the movie never ties up these loose thematic ends. And the ending itself comes very abruptly and unexpectedly. So, the entire movie is stop-and-go; it starts some interesting themes and conflicts but never ties them off. To give you an idea of how the Legacy plot runs, imagine that Identity ends after the Farmhouse scene: Bourne has made a step towards victory, but he’s not there yet and ultimately takes the offensive confronts the CIA directly. Without that last scene, Bourne wouldn’t win; the ending would be unsatisfying. In Legacy, it’s a different ending (of course) but the same feeling: The movie feels incomplete, unfinished. 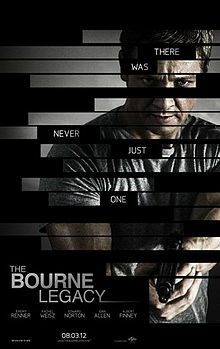 I believe that trying to make this a direct sequel to the Jason Bourne trilogy was a backfire and that they tried to make it too much like the trilogy. It would have worked best for them to take Aaron Cross’ story and make it uniquely his without trying to tie him to Bourne. I would be in if there is a sequel, but I would love it if Damon came back to the game. I gave this film an extra star because of addition of the Philippines into the story, Mad Kudos to Philippines!!! This entry was posted in Brian, Movie Review, Movie/TV Trailer, Movies, Movies/TV, Superheros. Bookmark the permalink.